Searching for a home in any Texas town is difficult, but well worth the search when you find the perfect property match for yourself and your family. This neighborhood is full of inviting homes that are suitable, but this one is really worth a second glance. This home is situated on several lush, green acres completely secluded and separated from neighbors and the surrounding culture. The home itself it situated on a cute knob with exclusive entryways and multiple opportunities for enhanced security. The first extraordinary feature noticed upon entry is the extremely lofty vaulted ceilings. This structural motif is intelligently designed to make living in the Texas heat bearable and even enjoyable for residents and guests. The overall design of this one-of-a-kind estate is a combination of luxury, and Southern earthen sensibility. This means the floors, walls, ceiling, auxiliary rooms and living spaces reflect a strong reverence for natural scene-scapes and beauty. The first noticeable feature that highlights this design is the incredibly ornate and large central fireplace. It can be stoked with real firewood, or converted eventually into a virtual firescape façade. The fireplace opens up into a spacious kitchen area. The natural motif is continued with native granite rock counter tops, luscious tile and an ambiance fitting for Southern style and community gathering. Upon further exploration, interested owners will discover a cozy and convenient office, large multiple bathrooms, fully equipped utility areas and open floor space for an active imagination. An extremely valuable and rare addition is the fully furnished guest suit with separate facilities and ultra-private location. Guests of this immaculate estate will find themselves in the lap of luxury, and privy to more conveniences than a 5-star luxury hotel. After all, what is a Texas estate without inviting quarters for those who can appreciate it? Laundry and personal services are also easily navigated with centralized work rooms, pantries, service areas and delivery hallways. Recreation swim areas are also part of the incredible romance of this home. This incredible estate is everything an up-scale residence should be, plus a few extras for those who have the opportunity to partake in real Texas style. Tyler, TX was named for President John Tyler and is famous for a laid back, high societal culture. It is known as the “rose capital of the world” and prides itself on a well-planned, family-friendly style of living. 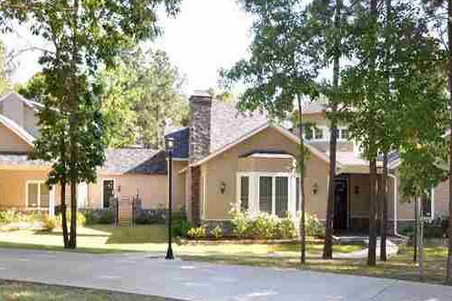 Tyler is populated with friendly residents and people who appreciate a refined way of living. The featured estate is one of the central and premier residences of this interesting, historic and fun Texas city. 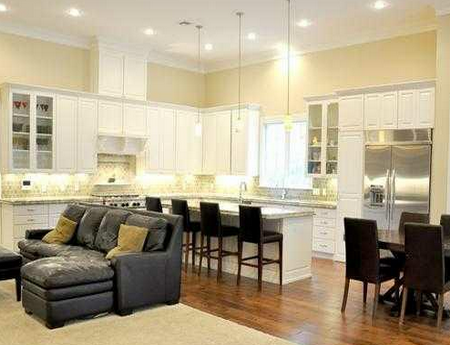 It is minutes away from shopping centers, golf courses, churches and schools. It is a picturesque home in the center of one of the state’s brightest communities!